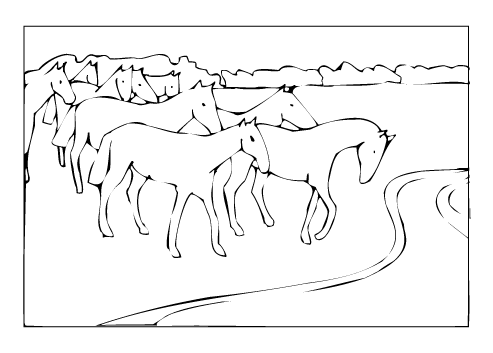 Here's a selection of free horse coloring pages that you can print off and color in. They are displayed in a gallery format, but if you click on each picture you will be able to print them off at full size. The galleries are split into two sections: one for kids and one for adults. Coloring is not just for kids! Many adults find the act of coloring to be soothing and is a great aid in releasing stress. 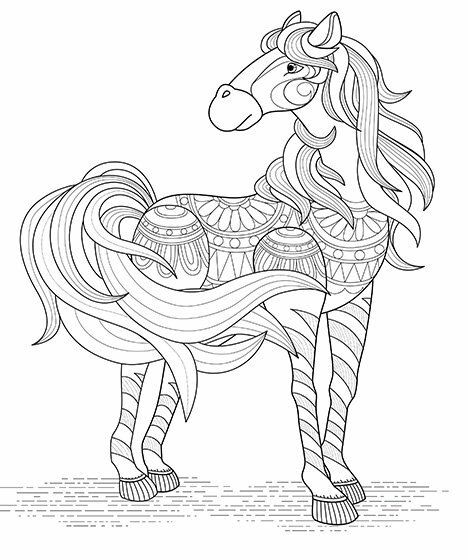 Our adult coloring pages are more intricate to help get you in the zone. Engaging in a creative process has long been acknowledged for its therapeutic qualities but not everyone has the confidence to draw from scratch. That's where coloring can act as a catalyst as it provides a starting point for artistic endeavors. Studies show that there are many physical benefits to coloring too including changes in heart rate and brainwaves. 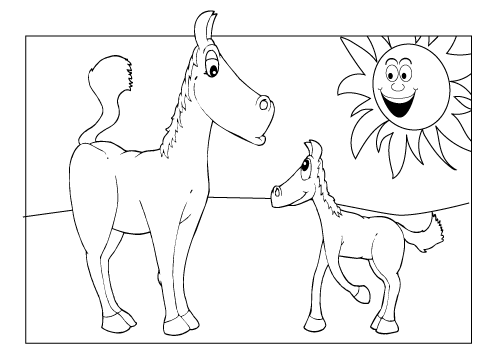 It helps control your attention as you have to focus on shapes, sizes and edges and deciding which colors to use where. It also enhances motor skills and creativity. Coloring is often compared to meditation as it generates wellness and quietness of the mind. 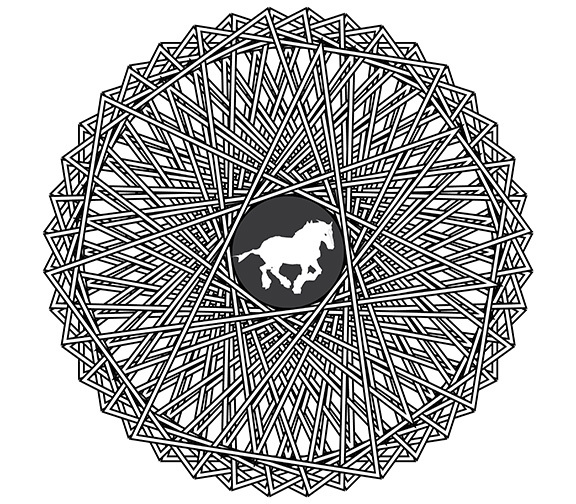 It is fast becoming an international trend with many coloring books featuring on the bestsellers' lists worldwide - see below for examples of these books. It is best to use crayons or colored pencils when first starting out as they will not bleed through the page. Some pen markers contain alcohol which rapidly soaks into the paper making it hard to be accurate with color placement. Scroll down for the free image galleries. Don't forget to bookmark this page as I will be adding new ones in the future. Providing hours of fun that never end! 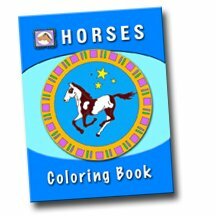 30 pages of high quality horse coloring images which you can print out again and again for ever. This quality e-book sells for $3.97(US). This e-book is a downloadable pdf file which is compatible on most computers. Just click on the link and the e-book will be delivered straight to your desktop where you can print off the pages on your own printer. 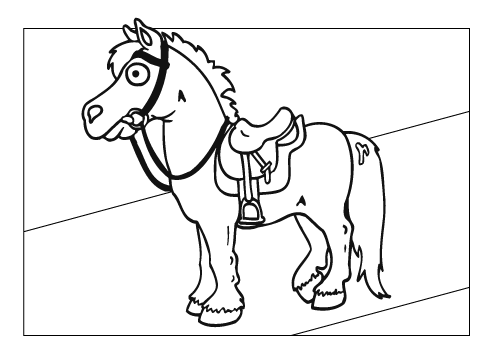 If you are not entirely happy with the Horse Coloring E-book we will refund your money - just send us an email. 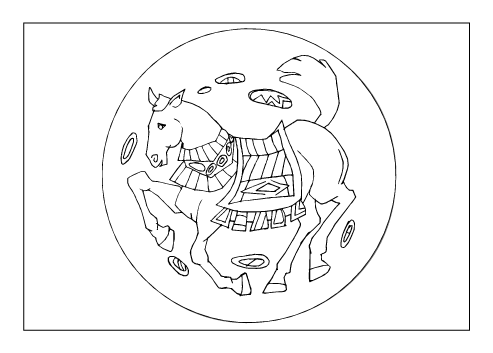 Share your colored-in pictures with the world! 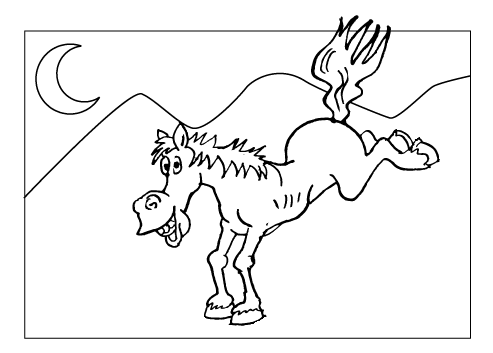 Did you enjoy coloring in our pictures? Would you like to share them with the world? 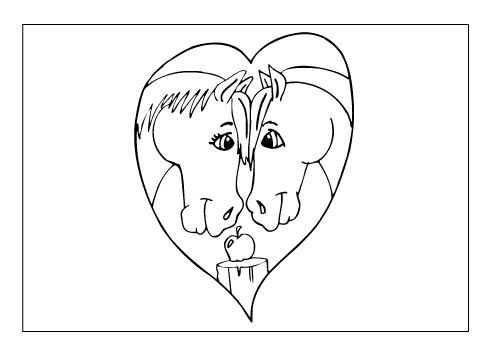 Submit your name and colored-in picture (and a story or poem to go along with it if you like) using the form below, and we'll dedicate a whole web page to you, which you can then show off to your friends. Don't forget to send your picture. Click the button and find it on your computer. Then select it. I love horses and I do horse riding lessons at lake Catie and I'm on level 1 right now.